There is a great momentum that carries us forward in the spirit of God when we learn how to let go of what is holding us back. Everyday we encounter set backs spiritually by Satan that come from all different directions in order to remove our focus from what God has placed in our hearts to achieve and maintain. These set backs or restrictions in the spirit of God not only come from outside sources but many times they simply come down to one thing our own lack of faith in truly trusting God. When we do not know how to trust in God it is natural for us in the flesh to place our trust in what we have instead of learning to understand what we are missing. We can witness this lack of trust in our relationships, in our careers, and unfortunately even in the church. Spiritually Satan likes us to have doubts in others because he knows that when we show our doubts then this will spread to others by planting a negative seed in the spirit of Satan instead of the positive seed of God in the Holy Spirit that can produce future fruit. Have you ever worked under someone that did not understand how to reach certain goals in life because they were too scared of losing their own position? Have you ever been around someone that would not give their all because they were too scared of someone else leaving them behind? Have you ever experienced someone that tried to hold you back because they did not want to see you succeed? Or, have you ever just not made that step of faith because of your own internal doubts? This is exactly how Satan works in this world because he does not want us to move forward in the freedom of Christ and he wants us to be restricted just as he. The Lord gave us principles to follow in order to maintain the foundation in the direction which God provides. But far too often we allow Satan to limit us to what can be achieved because of our own fears or of our own selfish pride. When we allow Satan to spiritually hold us back then we create a negative chain reaction that holds back others. And, if we are not careful during this suppression to recognize what is taking place in our own lack of trust in God then this can lead to a form of rebellion that can cause a division within our relationships, our careers, and sadly even in the body of Christ. The object in life is to learn how to work together in the spirit of God not only to build something for our children’s future but in order to maintain the foundation from which we have been given. 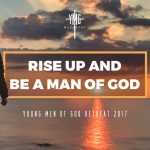 It is imperative as we mature to be on the lookout for those that God is raising up in our youth to carry on what God has already began. This same principle applies not only in the church but also in our careers to insure the logevity of what God has given for our children’s future. When we overlook this vital principle in the chain of life is when we often restrict others from the blessings that God provides in order to help carry us forward. God gives us children to carry on our family heritage, and God raises up men and women to reach new levels in life through the love of Jesus Christ. Unfortunately, we often miss these blessings because we don’t know how to pass on what God has given because we fail to release our temporary control in order to maintain the momentum in the spirit of God.